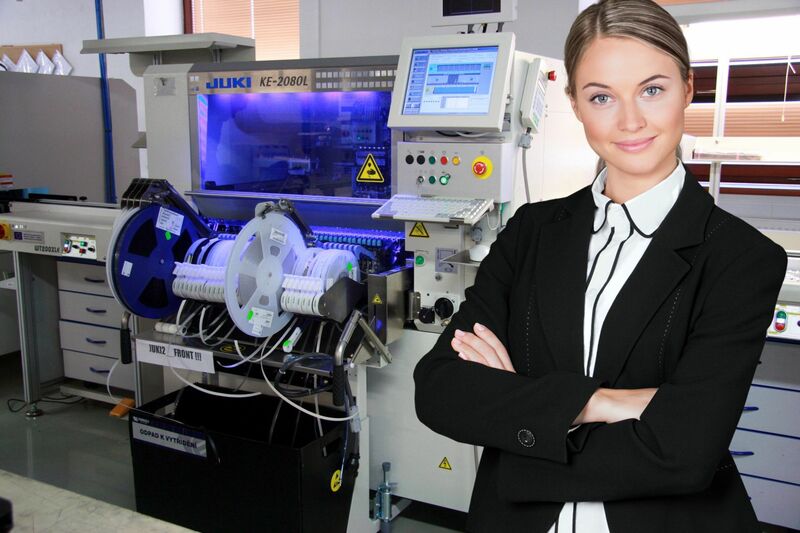 During our time in the market, we have achieved the position of a reliable business partner offering a wide range of PCB assembling options, from individual units to mass-scale production. Our strongest point is delivery deadline - compliance and flexible production under the highest quality standards. The flexibility of the production lines makes it possible to meet requirements of our customers starting at the production of one assembly. The availability of cutting-edge, modern technologies that we keep up-to-date with global trends. Complex EMS projects starting from design and development, purchase and production of components, assembling and delivering of the product to the requested customer delivery point. Customised post-assembling services, i.e. varnishing, testing, final assembly, uploading firmware, and logistics services. Supportive traceability system using 2D codes placed on PCB’s, enabling customer the opportunity to continuously track their order from factory production to shipping. Well-functioning, certified Quality Management System ISO 9001 and Environmental Management System ISO 14001, effectively implemented and continuously improving since 2005. A fully automatic stencil printer for glue and paste PCB printing with high accuracy and repeatability. X-TREME BASIC 2 - 1250 l drying cabinet for storage of SMD moisture sensitive components. Automatic optical inspection MEK FDAz520 for PCB formats up to 520 x 460 mm. ExtraEye Equipment for the verification of the first piece in the batch. © Created by promotion and presentation studio of TOROLA electronic, May 2016.